Chihuahuas are such special little dogs. They have big personalities and many times they don’t realize how little they really are. Some Chihuahuas can have aggressive tendencies, especially towards other dogs, making it hard to take them on walks and socialize them. A study shown in The Journal of Applied Animal Behavior Science found the Chihuahua was one of the top breeds most likely to bite a human or attack another dog. All dog lovers understand the importance of allowing a dog proper exercise time by consistently walking them, but that involves some socializing, especially with other dogs. 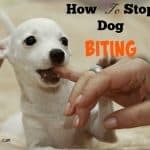 With possible hostility as part of their temperament, how can one prevent their Chihuahua from acting aggressive towards other dogs? Lose Control of your Emotions. 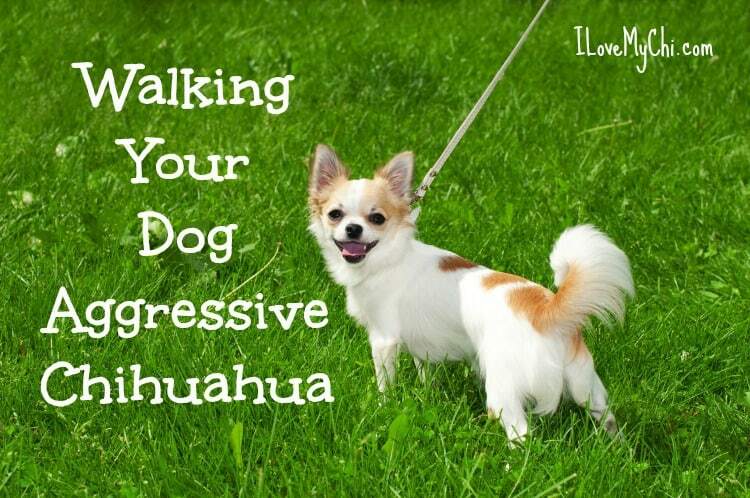 If your Chihuahua acts aggressive while on a walk, stay calm. 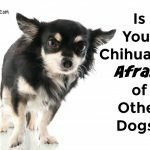 By acting frightened, or overreacting, your Chihuahua won’t see you as their alpha leader, and they will assume that they have earned dominance over you. Stay calm and collected no matter the situation, and your Chihuahua will respond to you as their protector and leader. Physically Punish your Chihuahua. By frightening your Chihuahua with physical punishment, you will be worsening the situation. Fighting aggression with aggression will not correct a behavior. 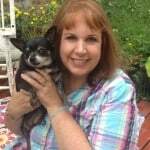 Being assertive is different than physically punishing your Chihuahua. Instead of injuring or frightening them, assert your dominance by verbalizing your wants. Don’t yell or strike. According to Psychology Today, hitting and kicking a dog results in an over 40% violent response, in contrast to performing leash or sound corrections, where only 3-6% of the dogs react violently. Lightly yank on a leash, calmly assert yourself, but do not harm your Chihuahua. Put your Chihuahua in the Right Environment. Boredom is one of the reasons why Chihuahuas may resort to aggression towards other dogs; they must channel their high energy into an outlet, but what that outlet will be depends on their surroundings. If they are restricted to a house without socialization with other animals and people, they will channel their energy into aggression. 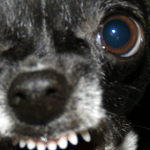 Don’t let your Chihuahua’s aggression determine whether or not you let them out of the house. Secluding a Chihuahua will only heighten their aggression. 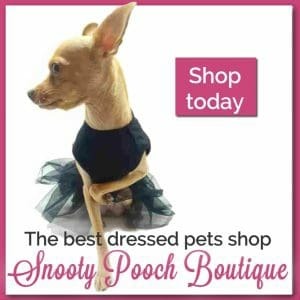 Know that your Chihuahua will act better if they are placed in the proper environment. Control the Situation. Assert your dominance over your Chihuahua if you notice them getting tense or angry in the presence of another animal. Do not overreact, and if you can separate the animals safely, do so. Remember to never violently punish a Chihuahua for aggression; that will only make the situation worse. Be assertive, dominant, and make sure they recognize that they are behaving badly. Allow your Chihuahua to Adapt to The Presence of Other Animals. 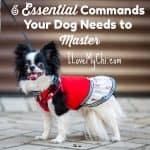 You cannot force a behavioral change onto your Chihuahua – you have to give it time and understand your dog’s personality in order to combat their aggression. One method that helps is to set up doggy play dates. Keep your Chihuahua in the company of other dogs, and eventually, your dog will become desensitized to the fear and aggression that stems from being around other people’s pets. 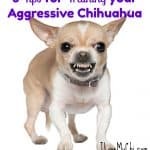 Make sure to keep a close watch and assert your dominance with a strong “No” if your Chihuahua shows any sign of aggression towards another dog. If you allow your Chihuahua to mingle often, then they will have no reason to be triggered by the presence of other dogs while on a walk. Walking a Chihuahua around other dogs may seem like a daunting task, but if you focus on maintaining positive and non-violent control over the situation, then the severity of a Chihuahua’s aggression will decrease until you feel completely comfortable walking your Chihuahua in a public setting. It takes a pet parent time, perseverance, and good treatment to correct a Chihuahua’s aggressive behavior around other dogs. 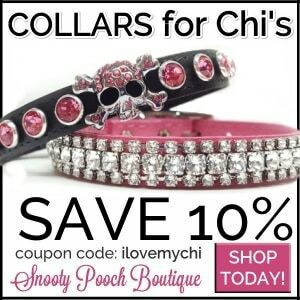 Of course, if your Chi’s aggression is totally uncontrollable, don’t put them in a situation where they can hurt another dog. 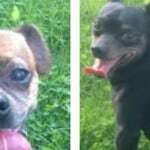 Instead look to a professional dog trainer or behavior specialist to get help.